Sometimes I confess,that when it comes to sculpture I find some naming conventions unfathomable. How a sphere of fibreglass resin could ever come to be called "Intergalactic Opus Seven" is beyond me. Thankfully others are a little more explanatory. 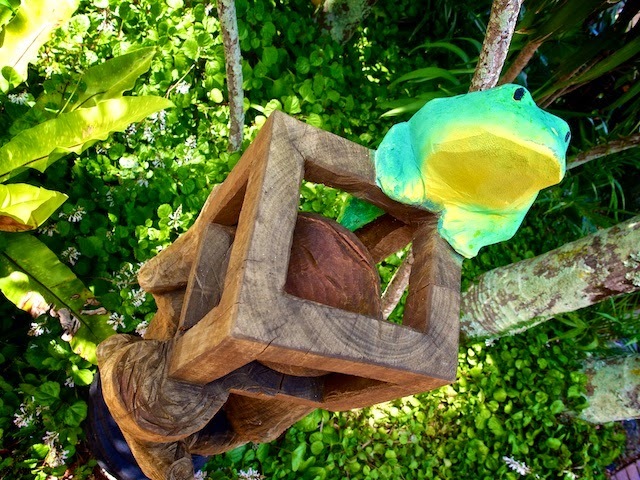 This is Keith Gall's chainsaw sculpture - "Frog on a ball in a cage." A good name for this one. At least it makes sense.